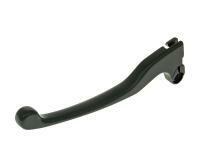 Quick and simple replacement lever for broken or damaged clutch or brake levers. 100% match of the original shape, colour and mount. Single lever in desired colour supplied. High quality aftermarket motorcycle, atv, moped, bicycle, and scooter parts from VParts made by Vicma Spain. One of the best known Spanish OEMs of replacement scooter parts, accessories, and aftermarket tools. 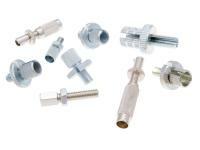 You can find the entire range of VICMA parts for scooters on the Racing Planet site. Please look at the application tab to make sure your model is listed prior to ordering this item.